RipenApps Client Reviews, Rating and Analysis Report. RipenApps success is a mirror of quality and satisfaction we have delivered to our clients while delivering their products, whether it has been a Mobile Application in iOS or Android or a Web Application. Our team has always been able to meet the expectations of our clients and has delivered even better. This is the application we developed to facilitate users to manage their day to day expenses and keep track of their inflows and outflows. Application generates daily, weekly and monthly reports for monitoring purpose. 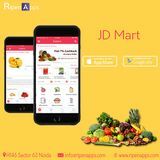 JD Mart is an online shopping app developed for a local retail grocery business. The app has facilitated them enhance their sales by providing them a new source of business. They have been able to have an edge over their competitors by facilitating their customers the home delivery of products. An Uber-like app, for a local taxi service, so as to help them enhance their customer base by providing them a window for online taxi booking within and outside the city. The application could be used for both instant cab booking or for a later date. 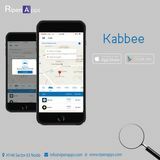 If you are looking for the innovative mobility solutions to your most promising food & restaurants business need, RipenApps is the best place to acquire the same. Amazed by their commitments. They have made a food delivery app with the diverse features & mesmerizing UIs. The app is really good and working effectively. Exactly achieved what I desired for. After searching through many design firms, we settled on RipenApps. It was very clear from the start that working with them would be amazing. RipenApps converted our Big E-Commerce idea to a beautiful responsive website & feature loaded the mobile app. They took our design direction and converted wonderfully. There follow up was excellent. There is no doubt that we will work with RipenApps & teams for our next task. Everyone I’ve dealt with at RipenApps has been very professional and well qualified. We’ve always appreciated that they really understand the space we're in. They made a quiz app for us and that is feature-wise outstanding. RipenApps have been a great partner to work with in terms of their ownership and overall flexibility. Our partnership with RipenApps helped us shape the vision, strategy, and mobile app development plan for our ground-breaking healthcare solution. 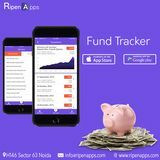 In collaboration with the expert team, RipenApps designed and built the healthcare mobile app solution, helping us get to market faster and having a significant impact on our business. The outcome of RipenApps work is on the same level on which we expected. They developed good, high-level project documentation and, during the development process, they followed it closely. They delivered the application named as City eye (Guide to find the location through the GPS) faster than we expected. 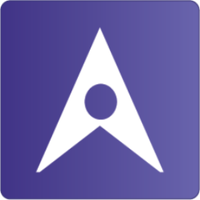 An outstanding application to find out the best place of tourism, nearby hotels or restaurants, the route to destination etc.